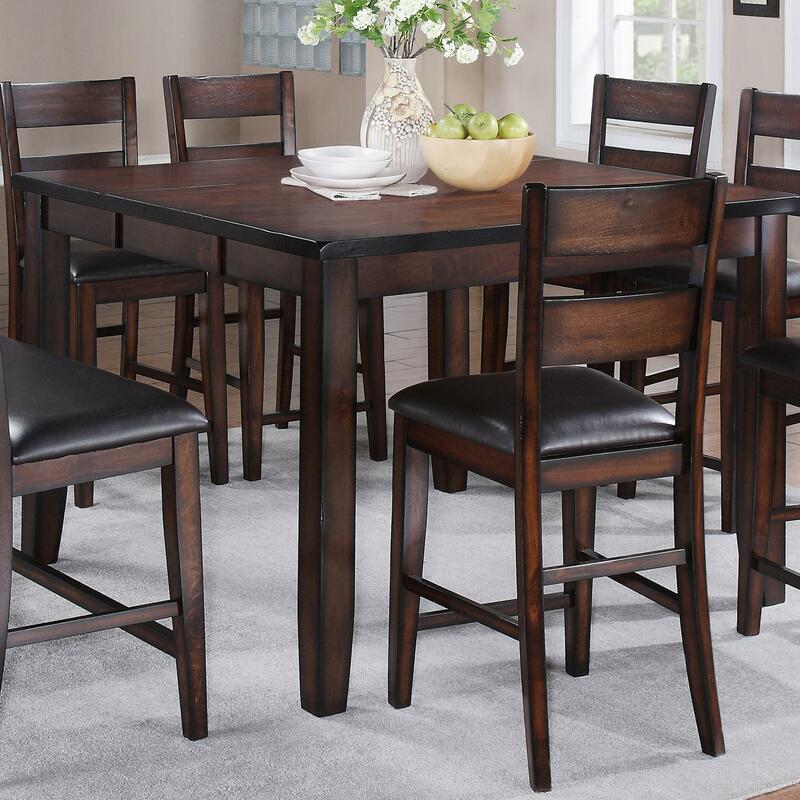 Bring a relaxed and casual ambiance to your dining space with the Maldives Counter Height Dining Table. Simply designed, it has a rectangular table top shape with one 18" leaf, allowing you to accomodate large gatherings. 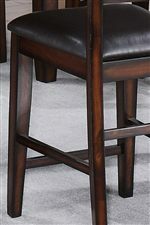 Woodwork is crafted with a warm brown finish that emanates rich tones. It is lifted on thick, counter height square tapered legs for a simplistic styling. Pair with the coordinating counter chairs and bench for a satisfying set. The Maldives Counter Height Table by Crown Mark at Miskelly Furniture in the Jackson, Pearl, Madison, Ridgeland, Flowood Mississippi area. Product availability may vary. Contact us for the most current availability on this product. Leaves One 18" leaf extends table from 36" rectangle to 54" square. The Maldives collection is a great option if you are looking for Casual furniture in the Jackson, Pearl, Madison, Ridgeland, Flowood Mississippi area.